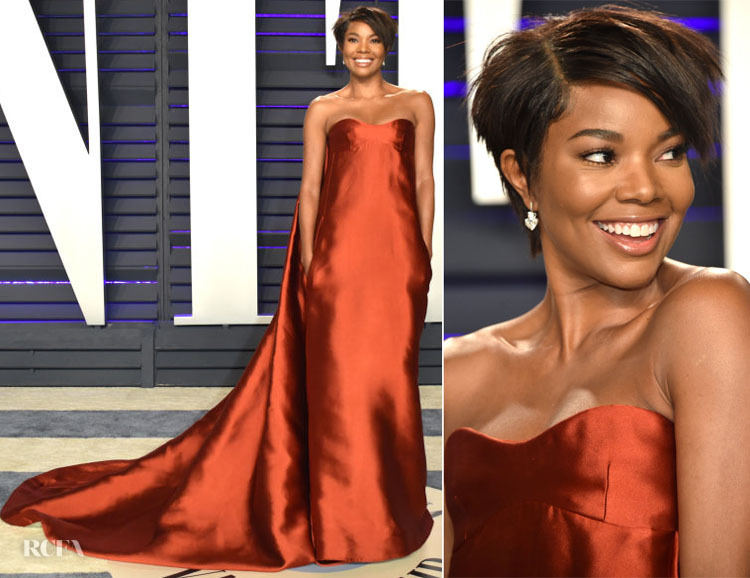 Gabrielle Union joined Elizabeth Banks and Jessica Alba at the Vanity Fair Oscar Party on Sunday (February 24) in Beverly Hills, California. 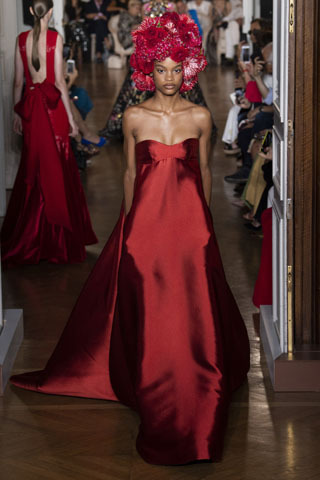 Her Valentino Fall 2018 Haute Couture gown was a sight to behold from all angles thanks to the pooling draping on the rich satin fabric. The pleated billowing back might be the statement detail, but she ensured her new pixie cut didn’t go unnoticed with her posing and Lorraine Schwartz jewels.